Blossoming Bud's Blog: Spring is in the Air - Time to Organize! Spring is in the Air - Time to Organize! I am so excited spring is just around the corner because it means time for tulips, sunshine and spring cleaning! Every spring the I get the itch to start organizing and cleaning. One of the first places I use my spring cleaning efforts is my closet! With a small closet, real estate is precious and every year I discover some many clothes I don't wear taking up this valuable space. The rule of thumb I follow is if I didn’t wear it at least once last season I donate it. The same rule applies to (gulp) my shoes. And every year I discover so many pairs of shoes I didn't wear, sadly most are heels. As a mom I don't wear my heels on a daily basis. Don’t misunderstand my shoe collection is not a bunch of ergonomically correct clogs, I still have plenty of “hot” shoes to wear on date-nights. Not only do I feel a sense of accomplishment when I walk into my freshly organized closet with some empty hangers, but it is so nice to donate my gently used clothing to a cause! Aside from organizing my closet, I always revisit my costume jewelry each season. 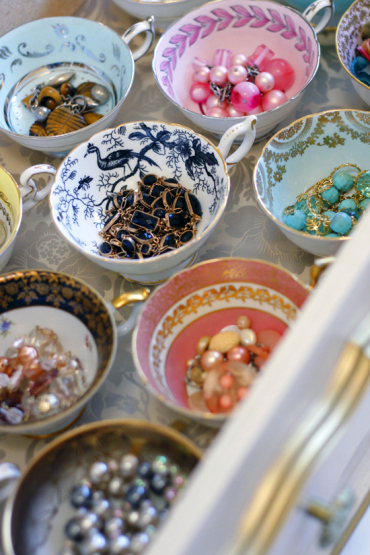 One of the best organizing tips for earrings is using fishing tackle tray to display all my ear candy! I can finally see every pair in the morning when I am getting ready. 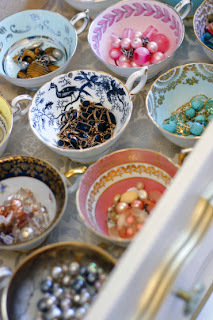 Here is another idea I found on Pinterest for organizing your jewels! Check out other spring cleaning/organizing ideas and some fun spring kids crafts on our Pinterest board: Spring is in the Air http://pinterest.com/blossomingbuds/spring-is-in-the-air. To learn more about one of Seattle’s best preschool sand drop-off childcare programs visit www.blossomingbudspreschool.com and www.blossomingbudscottage.com.